You’ve just walked into your house after a date with your crush. You are excited at the prospect of meeting him or her again, but you're still nervous as you're not sure whether your crush enjoyed the date. You were probably trying your best not to make a fool of yourself and had put your best foot forward. Will you get a second date? How do you tell if he or she was interested? Is there a possibility that you might have a future together? One great way to tell whether your date had a good time is by observing how the conversation flowed. If you’re meeting someone for the first time, it is normal for the conversation to seem strained. However, as you spend more time together, the conversation should start flowing. If this doesn’t happen, then the date probably didn’t go too well. Is she leaning towards you or away from you? This can be a telltale sign of how well the date is going. If she leans towards you for most of the date, then she probably likes you and enjoys your company. If she sits back and seems aloof, it’s not working. If she sits in a relaxed posture and looks you in the eyes while momentarily leaning across the table, then they are really comfortable being around you. How to know if a date went well? Look the girl in the eyes. She might make you feel awkward or uncomfortable with her stares. Does she stare deep into your eyes as you talk? Eye contact is usually a subconscious reaction where she wants to get closer to you. She stares at you longingly since she can’t get closer to you without coming off as perverts. If you date is enjoying the date, he or she might start asking personal questions and teasing you often. If your date playfully pulls your leg on the first date, then the person is probably into you and trying to win you over with humor. Does your date seem to be taking things slow to prolong the date? For example, she could be finishing her dessert too slowly or she orders a cup of coffee after dessert. She could also try to continue the conversation even after the table has been cleared and bill paid. This is a clear sign that she is enjoying your company and doesn’t want the date to end. She could suggest that you take a walk together or go hang out elsewhere. Does your date keep touching you during your time together? Not suggestively, but momentarily touching your hand, your watch, or even leaning on you. People find it hard to keep their hands off people they are sexually attracted to. If your date is into you, he or she will use any excuse to touch you. Ever notice that humans have a way of mimicking the behavior of people they like subconsciously? For example, does your date lean in when you start whispering or talking softly? This is a sign that your date feels a connection between the two of you and you’re on the right track! You might have the best date in the world, but it is unlikely to move to the next level if you do not have anything in common. If you share some interests, say hiking, you will have an easier time going on a second and third date. You will also have lots more to talk about and you’ll generally have more fun together. If someone is comfortable being around you, he or she will sit really close to you. You two might get closer as the date progresses. Everyone has a personal space and feels uncomfortable when it’s invaded by a stranger. If there is no awkwardness when you’re sitting really close to each other, then there could be some chemistry between the two of you. Did your date allow you to drive him or her home? Or did your date offer to drive you home? If yes, this is a sign that you two feel safe around each other and trust each other enough to share home address. If you find yourself driving back home together, there is a good chance you might get a second date. Wondering how to know if a date went well? Look for those lingering moments when it’s time to say goodbye after a date. If you’re hugging or kissing, does it take a second longer before he pulls away? If he takes his time before letting go, he probably wants to do more than just saying goodbye. If someone is into you or is romantically interested in you, she will tend to blush and feel nervous. She will also find your jokes funny and, therefore, will laugh a lot during the date. You should also watch out for body language such as lip wetting and stealing glances at your body. These are signs of physical attraction. After you’ve said goodbye, does your date look back at you as she walks away? If she does look back at you and blush or smile, she probably doesn’t want to say goodbye just yet. Learn to read the signs and find out how to know if a date went well. We can look at this from 2 perspectives – she contacts you and her response to your attempts to contact her. If she does contact you and only says “I enjoyed myself”, it probably means she did not have such a great time. However if she sends the same message and adds “let’s do that again”, then she definitely did enjoy the date. If she sends a much longer message saying “I had an awesome time last night. Can we do something next week?” you’re on the right track. If she talks about specific parts of the date or recounts a joke you had told her, then you are onto something. If you try to contact her and she doesn’t respond after three attempts, then you’d better move on. She is probably not interested. If she keeps telling you she’s busy, hit the road – no one is that busy. You’re the man! Follow up on her after the date. Don’t wait for her to call you. You should be the one initiating contact and pursuing her. Shoot her an email the day after the date and tell her you had a great time and let her know you’d want to meet up again. If she seems hesitant, then the date probably didn’t go as well as you had assumed. 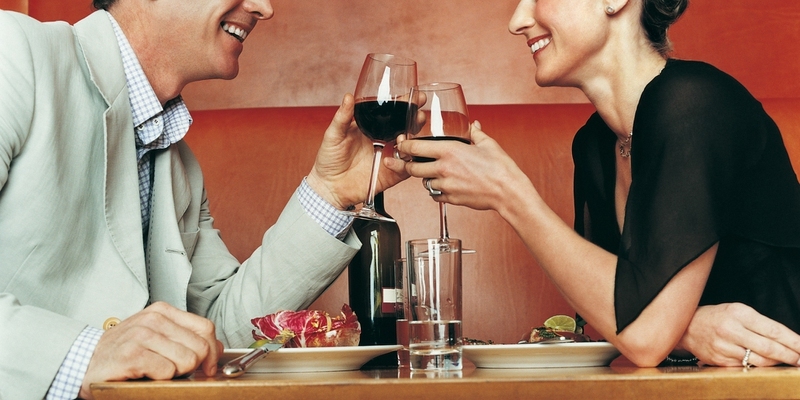 Getting a second date is how to know if a date went well.